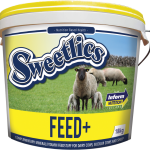 Our SWEETLICS and HEADSTART mineral buckets offer a practical solution to supplying minerals, vitamins, trace elements, antioxidants for cattle, sheep, horses, goats and camels. 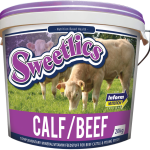 Sweetlics are a concentrated source of nutrients. 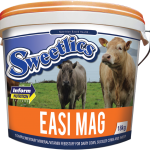 Supplies protein, major minerals, trace elements, vitamins and seaweed related alginate bio stimulants in a balanced form on a regular basis. 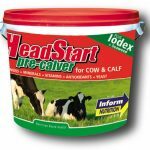 Can be fed anywhere at pasture or in a yard. 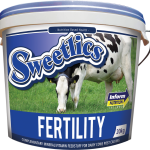 A constant supply of nutrients. 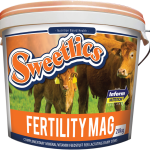 Optimises animal health, performance and fertility. 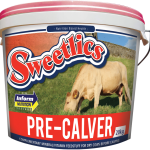 Convenient to use, available in different tub sizes. They do not break up on weathering. 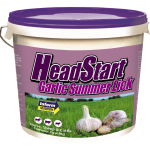 Long recognised as an energy source and conditioner for all animals. Supplies 3MJ of energy. 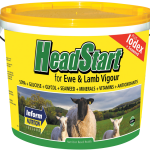 Inform Nutrition Ireland Ltd. is Ireland's leading manufacturer of animal nutritional products across the whole range of species, including Cattle, Calves, Sheep, Pigs, Poultry, and Horses. 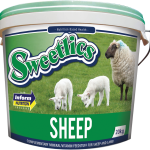 Established in 1986 the success of Inform Nutrition Ireland Ltd. for the past 33 years is based on manufacturing the highest quality animal nutrition products and supplements.